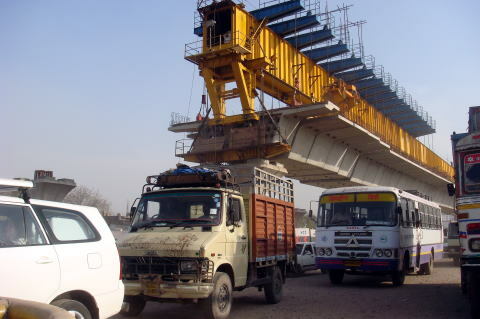 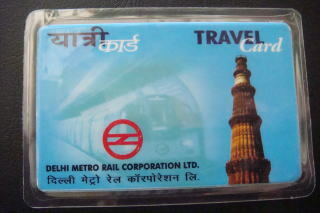 Rail Corporation Limited (DMRC). 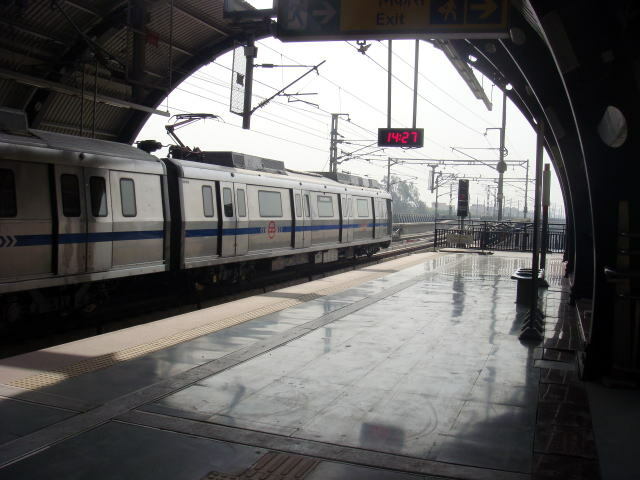 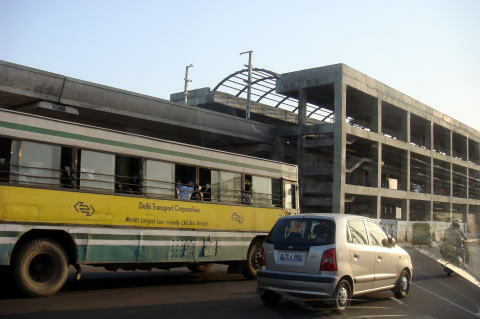 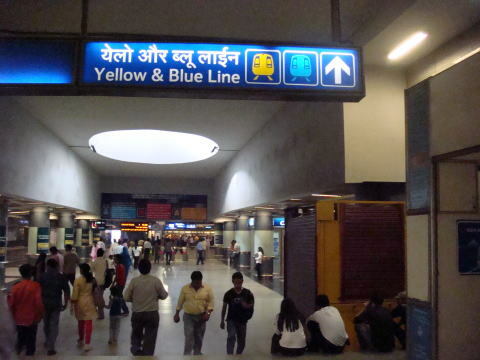 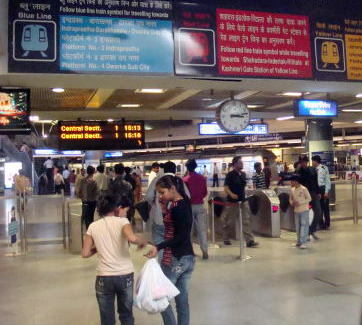 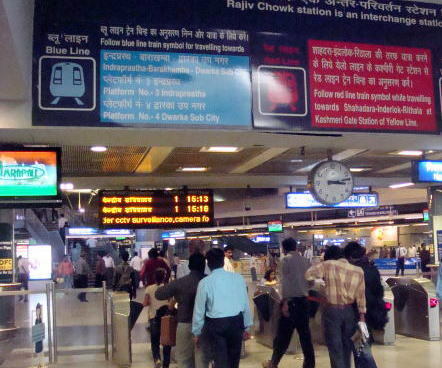 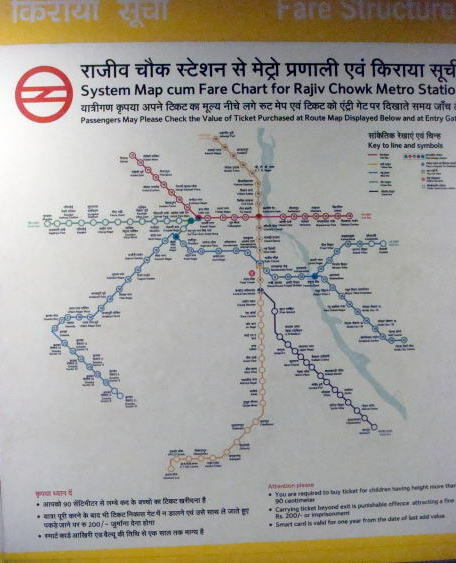 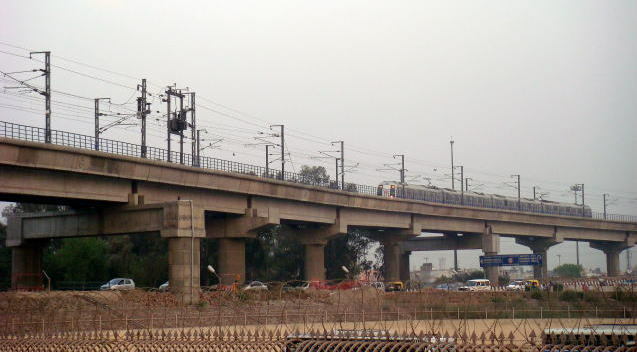 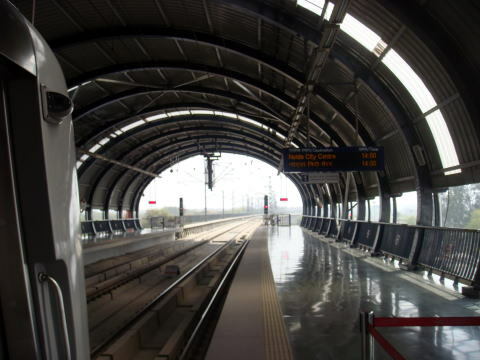 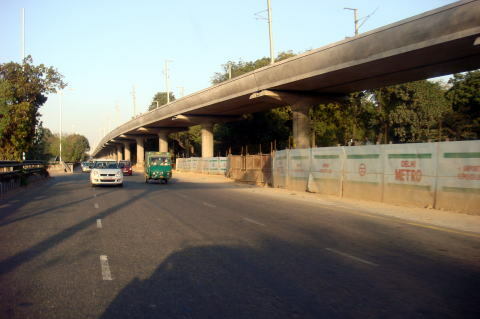 The first section of the Delhi Metro was opened in December, 2002. 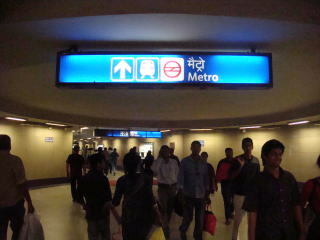 All metro lines are almost brand new. 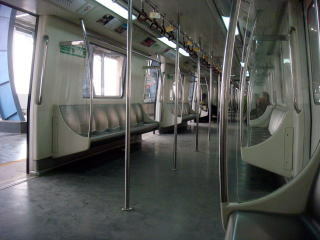 This photo shows an inside scene of a Delhi Metro train. 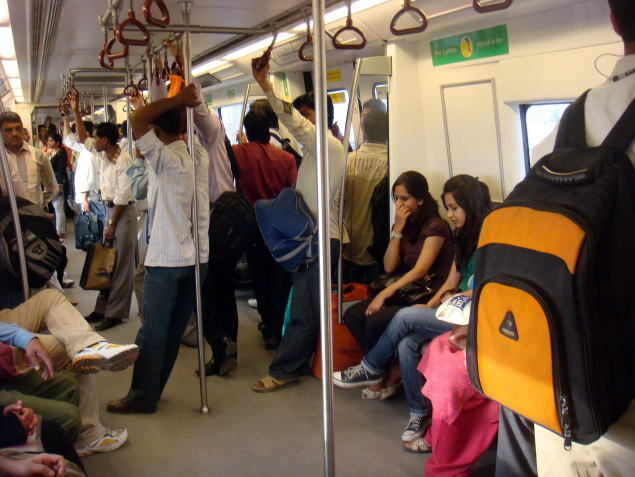 Women are sitting on the seat designated 'for ladies'. 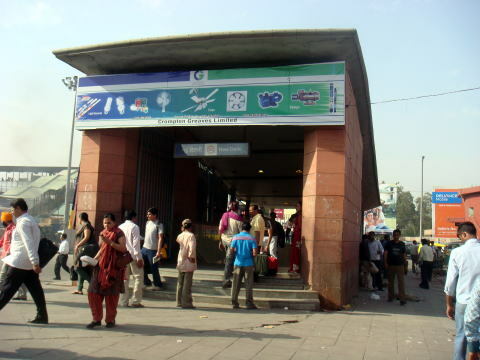 and convenience stores. 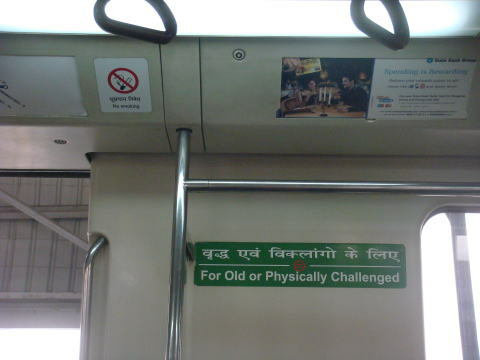 Eating, drinking, smoking, and chewing of gum are prohibited in the entire system. 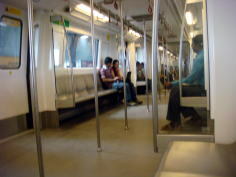 There is no electric display screen in the Metro trains. 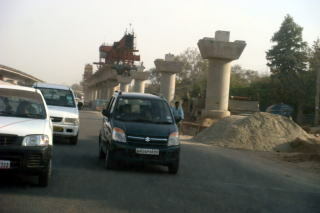 specially trained CISF (The Central Industrial Security Force), which is a paramilitary security force in India. 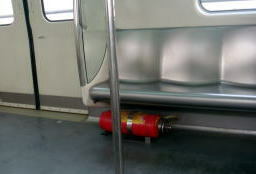 The article was written and photographs were taken by Dr. J. miyamoto, in March 2010.